Welcome to BlueBookTrader.com providing FREE classified listings and pricing for the sport vehicle enthusiast. BlueBookTrader.com also has the largest and most current dealer directory in Canada. If you need to buy or sell a motorcycle, snowmobile, ATV, personal watercraft; or find a dealer near you- this is your site! Look up your bike, quad, sled or watercraft trade-in value and MSRP; research what other similar powersport vehicles are selling for today- absolutely free. If you are looking for motor sport vehicles such as motocross, dual purpose, RUV, scooters, mopeds, side by side, this is your site! Bluebook trader lists models from Arctic Cat, Bombardier, BMW, Can-AM, Harley Davidson, Honda, Kawasaki, KTM, Polaris, Ski-Doo, Suzuki, Victory, and Yamaha. 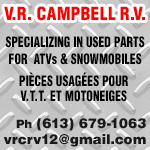 Search for listings on motorcycles, snowmobiles, ATV's and personal watercraft across Canada. Search by province, city, make, model, and year. You set the parameters; our search engine does the rest. 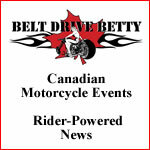 List your bike, sled, quad or watercraft for sale using BlueBookTrader's exclusive drop down menu. Your free listing has up to five pictures available as well as a generous text box. The drop down menu ensures that you are listing exactly as the manufacturer describes the unit. This information comes directly from the Canadian Blue Book, the most respected valuation name in the powersport industry. 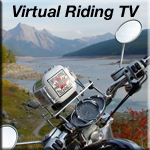 Canadian Blue Book Trader is a terrific resource providing you with facts, pricing and education on a motorcycle, ATV, snowmobile or watercraft . 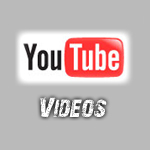 This helps you make informed decisions when buying or selling your recreation vehicle.